Ordered these just from the looks on web page. Well, I was pleasantly surprised they look even more real when I got them. Everyone that comes over tells me those brownies sure look good. I have to keep them enclosed on glass cake dish with the top on so no one sneaks a bite. That is how real they look. Makes you want to eat one. 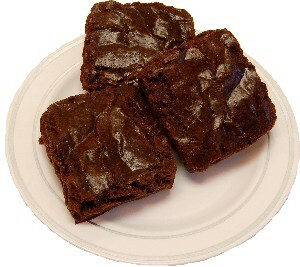 Of everything I've purchased thus far, these brownies gave me the biggest shock...SO realistic!!!!!!! I can't get over it! I'm going to burn a chocolate-scented candle nearby to lend further realism, but truly not necessary. These things are phenomenal!!!!! !